Peace Talks Radio shows that have included both well-known and lesser known women making a difference. Conversations with two octogenarian peace advocates, Juanita Nelson and Ruth Imber, who have each found ways to stay active, working for peace well into their eighties. On this edition of Peace Talks Radio, conversations with two octogenarian peace advocates who have each found ways to stay active, working for peace well into their eighties. They each bring the perspective of over eight decades of history to the table as they crusade in their own way for nonviolence. First we’ll visit with Juanita Morrow Nelson. 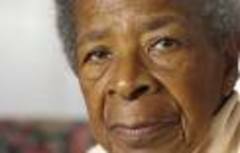 In the mid-1940’s, Juanita Morrow was a young reporter for a Cleveland African-American newspaper. She was assigned to interview several conscientious objectors who were in jail awaiting appeal of their 5 year sentence for refusing military service in World War 2 because they didn’t feel they should be required to kill. Ms. Morrow became intrigued with one of the men – Wally Nelson. 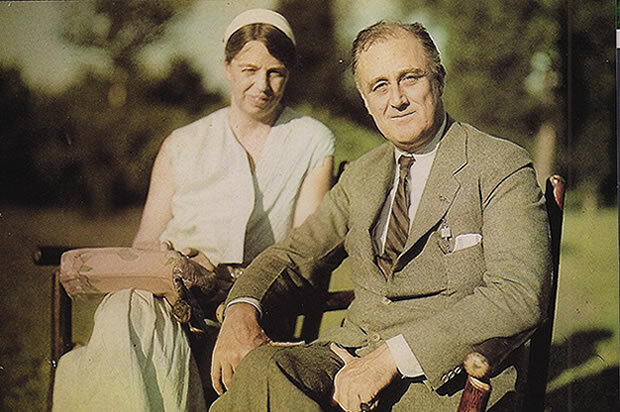 Not long after Nelson was released in 1946 after serving 33 months of his sentence, he and Juanita began a relationship that was built around their common commitment to non-violence in all parts of their lives. The Nelsons were among the first to take the step of refusing to pay taxes to the government because they did not want their tax dollars to go to military spending. For decades they lived simply below the taxable income line and were active in civil rights and social justice movements. Wally Nelson died in 2002 at the age of 93. Juanita Nelson, 85 at the time of our interview, was continuing on her own, living in the house she and Wally Nelson built together from salvaged material. No electricity, no plumbing, growing their own food on a small tract of land in western Massachusetts. Also we visit with Ruth Imber. If you lived in Albuquerque, New Mexico, and ever attended an event that promoted peacemaking, you’d find a little bespectacled grey haired woman named Ruth Imber there for sure. In fact, it wouldn’t be unusual for Ruth to slowly climb on to the stage, and grab a microphone to recite an original peace poem or song. Social justice and peace activism has been a part of her life for as long as she can remember, which, she admits is going back pretty far – to her 1920’s and 30’s childhood in New York City where she grew up. Ruth Imber was 83 at the time of her interview. From the 2007 "Building a Culture of Peace Conference" in Santa Fe, Peace Talks Radio presents highlights from an address by, and a one-on-one interview with, Nobel Peace Laureate Jody Williams, known for her work with the International Campaign to Ban Landmines. Peace Talks Radio. The series on peacemaking and nonviolent conflict resolution. From the 2007 "Building a Culture of Peace Conference" in Santa Fe, we present highlights from an address and a one-on-one interview with Nobel Peace Laureate Jody Williams. Ms. Williams talks with us about human rights and international law, the role of civil society in international diplomacy and individual initiative. She received the 1997 Nobel Peace Prize jointly with the campaign that she led, the International Campaign to Ban Landmines. 1976 Nobel Peace Prize Laureate Mairead Maguire recalls her peace work in Northern Ireland and in this 2006 interview talks with host Carol Boss about how the principles of nonviolence can be applied to conflicts around the world and in daily life. A 2006 conversation with Northern Ireland Nobel Peace Prize Laureate Mairead Maguire. Mairead Corrigan Maguire founded the Community of the Peace People in 1976 along with Betty Williams and Ciaran McKeown. Mairead was the aunt of the three Maguire children who were hit by a runaway car after its driver was shot by a soldier. The deaths prompted a series of marches throughout Northern Ireland and further afield, all demanding an end to the violence plaguing her country at the time. Mairead and Betty went on to win the Nobel Peace Prize in 1976. In this program, Maguire recalls her peace work and talks with host Carol Boss about how the principles of nonviolence can be applied to conflicts around the world and in daily life. This time on Peace Talks Radio, a 2006 conversation with Northern Ireland Nobel Peace Prize Laureate Mairead Maguire. Also talk about middle school mediation programs and nonviolent communication skills. Two women, two elders, who deep into the later years of life, made peace their goal – one, Catholic Sister Peggy O’Neill landed in war-ravaged El Salvador in the 1980’s and has been there ever since. The other, a woman who in 1981 had a 28 year personal campaign for peace come to an abrupt end when she had just turned 73. 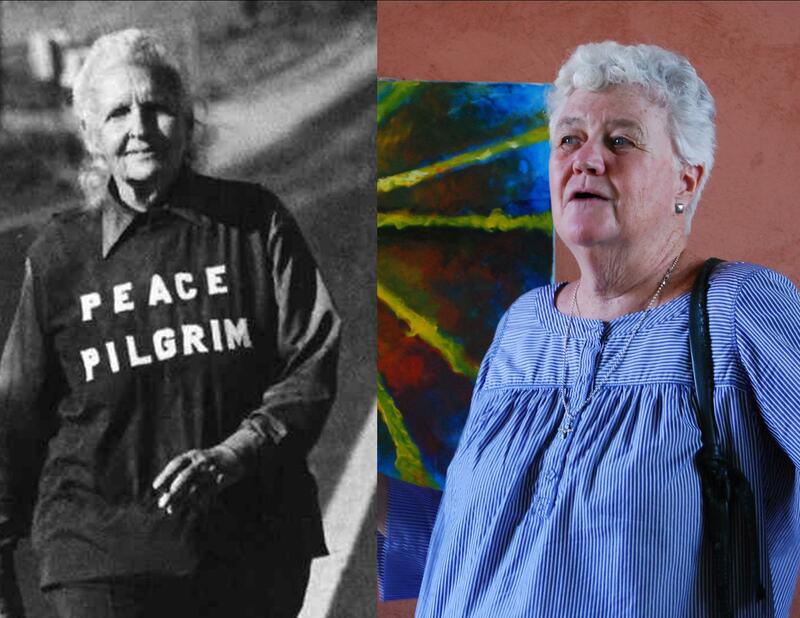 In 1953, Mildred Norman changed her name to Peace Pilgrim and started walking for peace. She kept doing it until the day she died. Today on Peace Talks Radio, two women, two elders, who deep into the later years of life, made peace their goal. About the time of Peace Pilgrim’s death, one of the least peaceful places in the news was El Salvador. A chaotic 12 year Civil War in the Central American country was into its second year. Assassinations, death squads, massacres of unarmed civilians – including women and children. In 1980, the Salvadoran National Guard raped and murdered four American nuns and a laywoman. Priests and nuns weren’t safe. During 1982 and 1983, corrupt government forces killed approximately 8,000 civilians a year. Into the middle of this, in the early 1980's, came a Catholic nun named Peggy O’Neill. On a visit to New Mexico in 2012, she talked with reporter Megan Kamerick about her time in Suchitoto, trying to find the love, nurture peace – more recently by creating a peace center for the community. The story of Julia Ward Howe's 1871 Proclamation for Peace and her call for a universal Mother's Day to promote peace and disarmament. Host Carol Boss talks with Kate Stickley, a direct descendent of Howe, and Jane Smith Bernhardt, an actor who portrays Howe onstage. Considerable material about Eleanor Roosevelt's philosophies. Includes considerable content about Eleanor Roosevelt's philosophies.